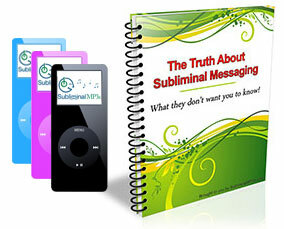 Enter the state of mind of wealthy people and become a money magnet with the help of this unique subliminal album! 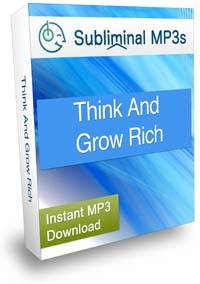 This album is inspired by one of the greatest books on wealth and success ever written - Think and Grow Rich. It will ignite within you a burning desire to get rich, make money, and realize your financial dreams. It will give you strong faith in yourself and your plans - to give you ultimate commitment, drive and PERSISTENCE. It will help you to imagine and visualise your success, and the money you will acquire - you will think yourself rich. This album is not a money attraction album as such, and it won't make you rich overnight. It simply works to realign your thoughts, and turns you into the sort of person who pursues success and money - someone with a "money consciousness". Stop trading your time for money. Instead of wanting a secure job in a company, working for someone else, you will get a strong desire to work for your own benefit and to create your own opportunities in life. Believe in your ability to achieve your goal. You will get an unshakable sense of self-belief. Knowing that you deserve it and that you can have it, with no negative or limiting beliefs to hold you back, your passion and confidence will put you in the empowering situation to go out and get what you want. Identify your vision and work toward it. Your vision, not your limitations, will become a driving force in your life. You will find a way around any obstacle and nothing will be able to stop you from achieving your goal. When you first start using the album you will notice a real boost in positivity, and you will feel more motivated than ever. As you continue to listen you will feel more and more focused on making money, your subconscious mind will be completely aligned with your conscious goals of making money and you will find yourself taking real, pro-active steps towards changing your life for the better. Download this album today and focus your mind on success - towards making money, achieving financial freedom and getting to the highest levels in your professional and personal life.